In a career that is arguably the sport’s best, Major League Fishing pro Kevin VanDam has been there and done it all. And as the saying goes, he’s got the t-shirt to prove it. Actually, he’s got several t-shirts to prove it as KVD’s lofty career accolades list would seem to prove. For those keeping score at home, KVD owns the following: two MLF Summit Cup championships; four Bassmaster Classic wins; seven B.A.S.S. Angler of the Year titles; a FLW Tour AOY title; a total of 23 B.A.S.S. wins; 16 runner-up B.A.S.S. finishes; 17 third place B.A.S.S. finishes; 109 Top 10 B.A.S.S. finishes; and more than $6.1 million dollars in career winnings. By almost any standard, VanDam has been to the sport’s mountaintop and has built a summer home there, long reigning as the sport’s modern day king. That being the case, the Kalamazoo, Mich. angler that many describe as bass fishing’s GOAT (greatest of all-time) is genuinely excited about the new opportunity that lies in front of him this week. And that’s the chance to win a world title as the 2017 Major League Fishing General Tire World Championship event begins in Nacogdoches, Texas. For one thing, KVD is excited about the early March timeframe – and the mild early spring weather – that should have the big bass that East Texas is known for up in the shallow water, either preparing to spawn or actually going through the annual breeding cycle. “We’re lucky to be hitting good weather this week,” said VanDam. “When it comes to scheduling something like this (in the early spring), you could get (hit with) a big cold front or something like that. 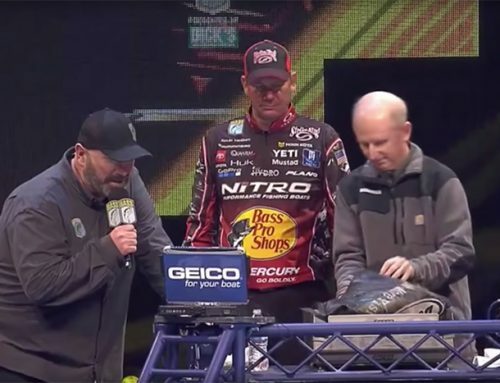 As on looking cameras record the action for MLF’s debut on CBS Sports network television, VanDam points to the Pineywoods area near Nacogdoches as one of the more hallowed areas of big bass fishing opportunity. Meaning that the chance for a MLF pro to catch a double-digit lunker bass tipping the scales at 10-pounds or better is actually quite high this week. If VanDam is excited about the big bass and overall fish catching potential of East Texas waters, he wryly notes that some of the smaller sized lakes might not readily play into his preferred power style of fishing, which is to fish fast and cover a lot of water with moving baits. Still, KVD is excited about the debut of an event that may one day soon be the flagship derby for the sport. As one of the original Major League Fishing pros, VanDam has been aboard for the wild ride that MLF has been on from the first event on southwest Texas’ Lake Amistad a few years ago all the way to this week’s marquee World Championship event unfolding in East Texas. 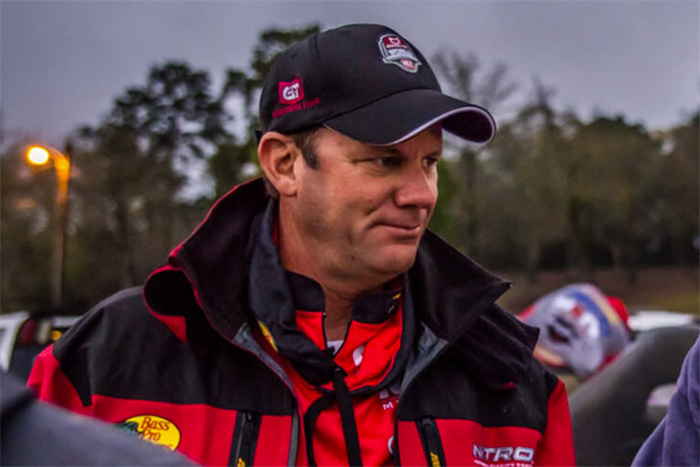 When asked to reflect upon MLF’s growing history from Amistad until now, KVD – who fished in the first ever MLF Championship Round with Kelly Jordon, Mike McClelland and eventual 2012 Challenge Cup winner Brent Ehrler – smiled big. Meaning yet another accolade and career first for the sterling resume of VanDam, who has fished in five Championship Rounds in the eight MLF Cups that he has competed in. “It’s amazing that our format has changed so little since that time,” he said. “It just goes to show you how well thought out it was in the beginning. KVD adds that one hopeful outcome of the first ever MLF General Tire World Championship event is to expand the sport’s reach beyond its traditional core audience. VanDam, a big fan of his home state Detroit Lions pro football team, points to the NFL as an example. “I’m not a NFL caliber player, but I love to watch the NFL,” said KVD. “And it’s the same with Major League Baseball or some of these other sports. 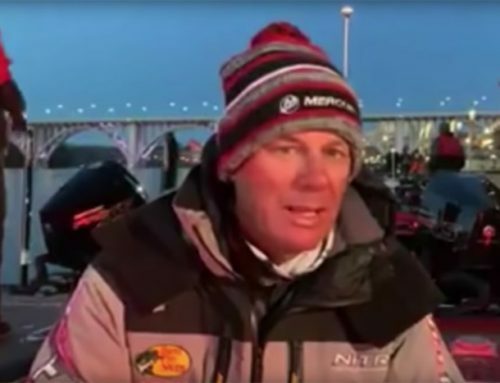 One thing that KVD and other MLF anglers are excited about this week is to have the chance to catch some giant bass, game changers that can rocket a MLF pro up the SCORETRACKER LIVE! leaderboard in high adrenaline fashion as the TV cameras record it all. The kind of double-digit ShareLunker bass that the Lone Star State is known for producing, the kind of fish that VanDam and others hope to catch in an effort to showcase the fine work being done in the state by Texas Parks and Wildlife Department inland fisheries biologists. KVD is quite excited to be back in Texas for the MLF World Championship event with the chance to add yet another exciting chapter to his amazing career path. VanDam knows that better than most other pro anglers, having caught a then lake record 11-pound, 13-ounce largemouth bass on June 1, 2005 while fishing a B.A.S.S. event at Lake Lewisville on the northern fringes of the Dallas/Fort Worth Metroplex. Despite the fact that KVD’s record Lewisville bass has since been surpassed (by a 13.63-pound ShareLunker specimen) and the fact that his one-time record fish didn’t reach the 13-pound benchmark necessary for it to join the other 570 ShareLunkers in the program’s storied history, KVD was certainly pumped up then about the fish and the Lone Star State’s fisheries. And little has changed in KVD’s mind about the Lone Star State’s superb bass fishing opportunity since that day when he caught a Texas giant, one of the biggest largemouths in VanDam’s legendary angling career. Meaning that he is quite excited to be back in Texas for the MLF World Championship event with the chance to add yet another exciting chapter to his amazing career path. That being said, despite the big fish potential of the region, VanDam isn’t necessarily predicting a lunker catching frenzy and a leaderboard that is constantly changing because of double-digit bass being caught. Partly because the MLF format is about catching as many scorable bass as possible and not just the biggest ones that might swim in a lake. And partly because of the smaller bodies of water that this week’s event is likely to be contested on (most regional waters are far smaller than the voluminous Toledo Bend and Sam Rayburn reservoirs that also lie in the region). And mainly because of the quality of this week’s angling field, a total of 12 anglers including VanDam, any one of which can be hoisting up the first ever MLF General Tire World Championship trophy when all is said and done. “(These) are good enough anglers that (everybody will be in this thing) and (no one will) be out of it, said VanDam. That’s a good point because VanDam, as good as he is, doesn’t win them all. And given the talent and experience of the MLF World Championship field and the high quality of these East Texas bass waters situated near Nacogdoches, then all bets are off as to who will be the top angler this week. 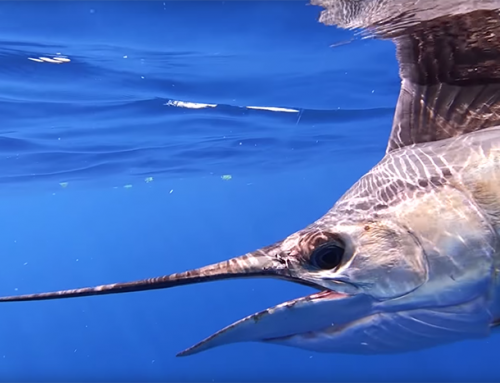 Even if the sport’s oft-described best angler of all-time is very much in the mix.